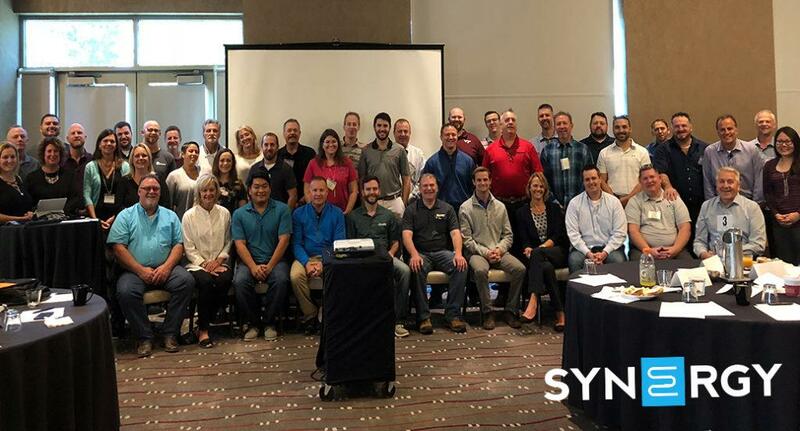 Fifty Synergy members from twenty five companies travelled to Chicago for Synergy’s 2018 Sales Summit held Sept 9-11th. This year’s summit included a workshop led by Paul Petricca (Torque Consulting) on developing client relationships, breakout groups for members to talk with those selling primarily PM agreements, those focusing on project sales, or those who do both, and best practices presentations. At this year’s Sales Summit we had a diverse group. 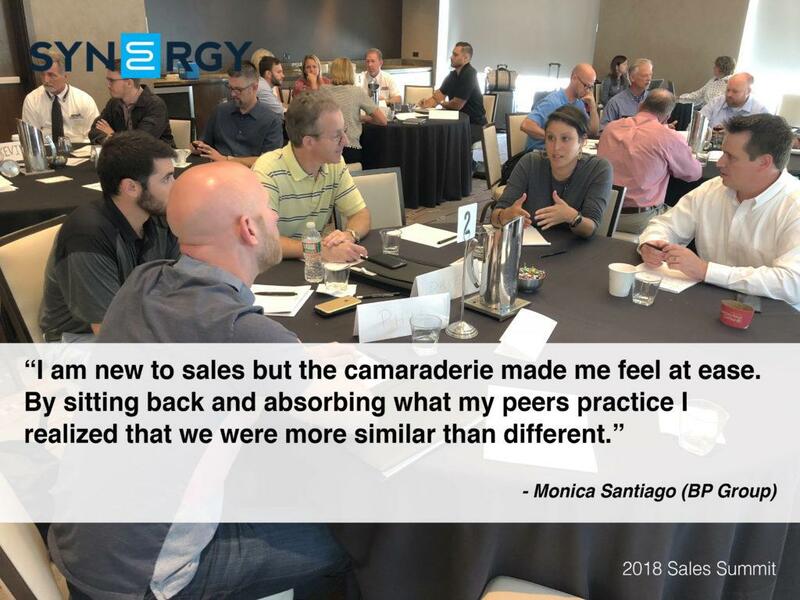 The sales experience in the group ranged from 1 month to 40 years which led to large group discussions with a variety of perspectives and breakouts where attendees could connect peer-to-peer. 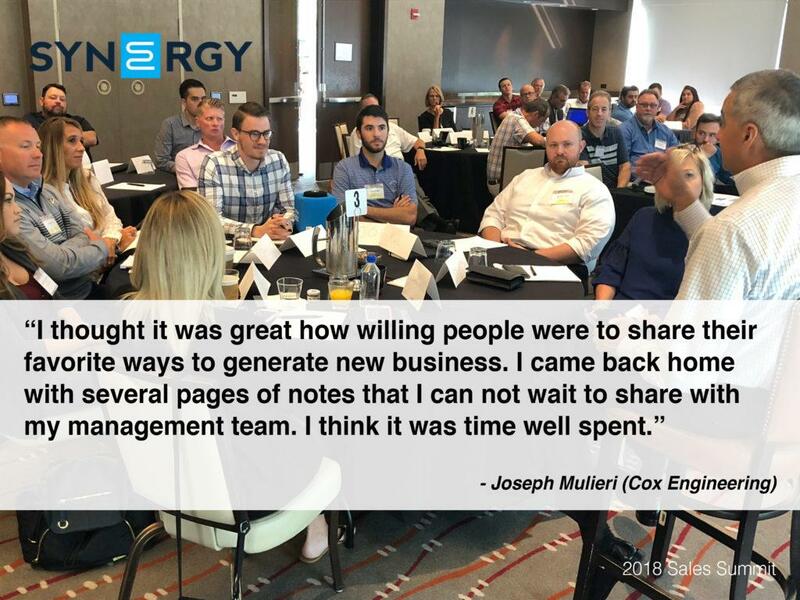 The highlight for many of this year’s attendees were the presentations that members gave to showcase a best practice they have implemented with their sales team. John Speed (Interstate Mechanical Service) – John gave attendees tips from his year experience of working as a Facility Directory. He shared the things to avoid doing when trying to get a meeting with someone in this role along with advice on how to stand out and bring value. 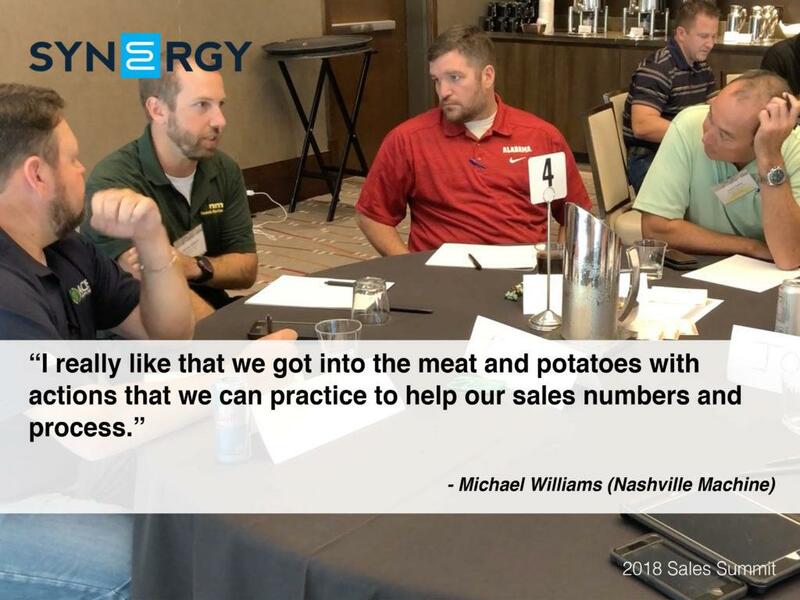 Britt Espinosa and Johnathan Swayne (Vital Mechanical Service) – Britt and Johnathan shared an in-depth review of the data-driven sales process they’ve developed that’s helped them find more qualified leads and win more business. Rebecca Hogue-Rodriguez (Yearout), Larry Price (ACIS), and Steve Steiner (RK) – All three shared the handoff process their company uses to communicate with the operations team after they’ve sold either a new maintenance agreement or a project. We’ve got a ton of exciting ideas that we’ll be implementing over the next month to ensure everyone is staying connected until the next Sales Summit. Action plans: And don’t forget about the action plan that you wrote down at the end of this year’s summit. We’ll be following back around with you soon to check in on the progress you’ve made or if you need any help accomplishing your goals! Stay in the know with our newsletter! Helping commercial HVAC contractors build a stronger peer network. © 2019 Synergy Solution Group. All Rights Reserved.